The Palestine News Agency WAFA, on Monday, monitored incitement and racism published in the Israeli media against Palestinians and Arabs between June 15 and 21 July, 2016. The 296 issue of the report, reviewed a number of articles and op-ed published by Israeli writers and journalists, which incite against Palestinians and Arabs both directly and indirectly. Maariv newspaper published a racist article on July 7 by Michael Kleiner, in which he attacked Arab member of the Israeli Knesset Hanin Zoabi as a woman and aan Arab and promoted stereotypical ideas about Arabs. He asked if the 47-year-old Syria-born single woman would have been allowed to apply makeup, leave the house without a head cover, join protests, wave flags or board a Turkish flotilla, establish a career, receive a salary and appear on media outlets if she was still in Syria, or would she be busy taking care of homeless children that she birthed after being forced to marry an old man and fighting with her husband’s younger wife that was recently added to the family? Kleiner said that Zoabi is lucky that Jews rejected the Uganda plan and returned to their ancestor’s land where they paved roads, built universities in Jerusalem and Haifa and established a western country where Zoabi can were pants, fight for the rights of women and homosexuals and express her extreme and violent ideas under the pretext of freedom of expression. Meanwhile, Ze’ev Kam criticized, in a video published on July 19 on NRG website, Arab member of the Knesset Yousef Jabarin, who said that Israel assassinated former leader Yassir Arafat. Kam asked Jabarin about the evidence, which supports his groundless claims. The Israeli journalist described Jabarin’s claims as part of Palestinian culture which promotes lies. NRG website also published an article by Sara Cohen in which she attacked the Israeli army radio station for broadcasting poems by Palestinian poet Mahmoud Darwish. She warned against upholding art, culture, and diversity, which give right to expelling Jews through the use of knives and gunfire. Not only are Palestinians expected to demolish many years of Israeli disinformation, predicated on a make-believe historical discourse that has been sold to the world as fact, but also to construct their own lucid narrative that is free from the whims of factions and personal gains. It will not be easy, of course. My message in the “Palestine in the Media” conference, organized by the Palestine International Forum for Media and Communication is that, if the Palestinian leadership is failing to achieve political unity, at least Palestinian intellectuals must insist on the unity of their narrative. Even the most compromising of Palestinians can acknowledge the centrality of the Nakba, the ethnic cleansing of Palestinians and the destruction of their towns and villages in 1947-48. Professor Nashaat Al-Aqtash from Birzeit University, perhaps more realistically, downgraded the expectations even further. “If we could only agree on how we present the narrative regarding Al-Quds and the illegal settlements, at least that would be a start,” he said. The obvious fact is that Palestinians have more in common than they would like to admit. They are all victimised by the same circumstances, fighting the same occupation, suffering the same violations of human rights, and facing the same future outcome resulting from the same conflict. However, many are strangely incapable of disconnecting from their tribal-like, factional affiliations. Of course, there is nothing wrong with having ideological leanings and supporting one political party over another. It becomes a moral crisis, though, when the party affiliation becomes stronger than one’s affiliation to the collective, national struggle for freedom. Sadly, many are still trapped in this thinking. But things are also changing; they always do. After over two decades of the failure of the so-called ‘peace process’, and the rapid increase in the colonisation of the Occupied Territories in addition to the extreme violence used to achieve these ends, many Palestinians are waking up to the painful facts. There can be no freedom for the Palestinian people without unity and without resistance. Resistance does not always have to mean a gun and a knife, but rather the utilisation of the energies of a nation at home and in ‘shatat’ (Diaspora), along with the galvanisation of the pro-justice and peace communities all over the world. There must soon be a movement in which Palestinians declare a global struggle against apartheid, involving all Palestinians, their leadership, factions, civil society and communities everywhere. They must speak in one voice, declare one objective, and state the same demands, over and over again. It is bewildering to realise that a nation that has been so wronged for so long being so greatly misunderstood, while those who have done the harm are largely absolved and seen as if the victim. Of course, that, too, was a fabrication, but many supposed truths often start with a sheer lie. He delegated several academics to present the most falsified, yet coherent, story on the exodus of the Palestinians. The outcome was Doc GL-18/17028 of 1961. That document has, ever since, served as the cornerstone of the Israeli ‘hasbara’ concerning the ethnic cleansing of Palestine. The Palestinians ran away and were not driven out, was the crux of the message. 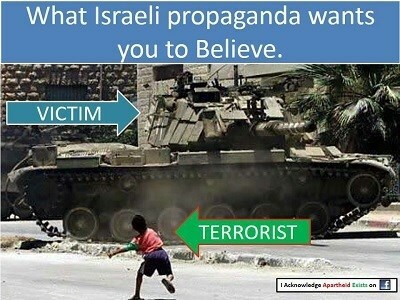 Israel has been repeating this falsehood for over 55 years and, of course, many have believed it. Not until recently, thanks to the effort of a burgeoning group of Palestinian historians – and courageous Israelis – who counter the propaganda, a Palestinian narrative is taking shape, although much is yet to be done to offset the damage that has already taken place. 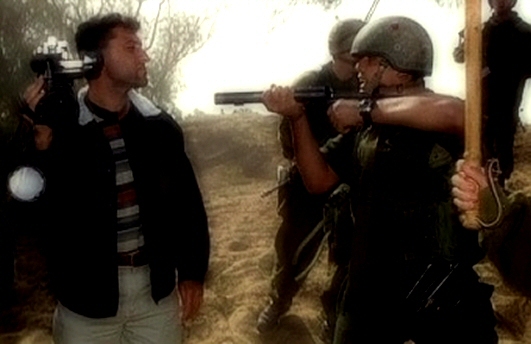 In fact, a real victory for the truth would only happen when the Palestinian narrative is no longer seen as a ‘counter narrative’ but as a sovereign story of its own, free from the confines of defensiveness and the burden of a history laden with lies and half-truths. The same logic can be applied to journalism, as well. Aside from finding their common story, Palestinian journalists need to reach out to the wider world, not only to their traditional circle of dedicated friends and supporters, but to mainstream society. If people truly appreciate the truth, especially from a humanist perspective, they cannot possibly support genocide and ethnic cleansing. And by ‘wider world’ I am hardly referring to London, Paris and New York, but to Africa, South America, Asia and the entire South. Nations from this hemisphere can fully understand the pain and injustice of military occupation, colonisation, imperialism and apartheid. I fear that the emphasis on the need to counter Israeli ‘hasbara’ in the West has meant the allocation of a disproportionate amount of resources and energy in a few places, while ignoring the rest of the world, whose support has for long been the backbone of international solidarity. They must not be taken for granted. The good news, however, is that Palestinians have been making great strides in the right direction, although with no thanks to the Palestinian leadership. The key, now, is to be able to unify, streamline and build on those existing efforts so that such growing solidarity translates into greater success in raising global awareness and holding Israel accountable for its occupation and violations of human rights. Dr Ramzy Baroud has been writing about the Middle East for over 20 years. He is an internationally-syndicated columnist, a media consultant, an author of several books and the founder of PalestineChronicle.com.